Amazon has been known as a global giant that is also one of the marketplaces with the strictest rules when it comes to protecting the trademarks. They have their Trademark Protection program that simply removes all listings that could potentially lead to trademark infringement cases, and for a pretty long time this approach was something really positive from the shoppers’ perspective. Still, the latest developments on Amazon Spain lead to some quite unorthodox and not very productive situations. Namely, since 3M is a registered trademark, a huge number of listings has been removed for using “3m” term in their product titles and descriptions. The real problem is that the phrase was used on electrical tools section where 3m was used not as a brand name but instead as the key feature. Basically, all electrical devices and appliances that come with 3 meters of cable and has been labeled in a way that is usually used – have been removed. All appeals so far have been absolutely futile, and even in direct correspondence with the seller support – the problem has not been solved. There are several serious implications of this incident. Firstly, there is a question on how to change the listings and to still be able to inform the customer on what they are actually buying without using the 3M designation. It would mean that the customers won’t be able to find easily the appliances with that specific cable feature. Furthermore, the question is what will happen if anyone registers other values as brand names and pursue copyright over those terms? The solution is not simple and at the moment there is no sign of it being resolved in any manner. 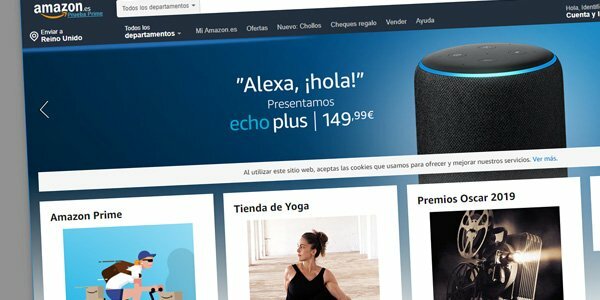 The only positive thing about the entire incident is that it is currently localized to Spain, but it could easily spread onto all other geographies and that could create a huge issue for many Amazon sellers.